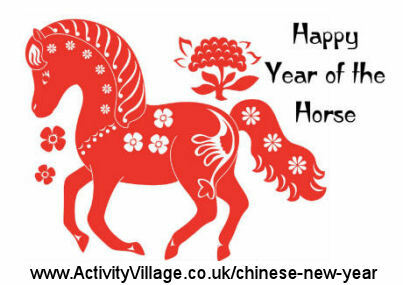 Just to let you know that we will be celebrating Chinese New Year on 31st January 2014 and welcoming in the Year of the Horse. We've just started to add a few new puzzles and printables for those of you who are organised and like to plan your activities in advance! And of course, please do take the opportunity to explore the Chinese New Year section while you are looking - we have all sorts of wonderful printables and activities there!